We jump over them every day and move on with our lives, but uncovered manholes and drainage channels are responsible for many deaths and injuries in Kampala. Next time you’re walking around or driving by one, be sure to take heed. There are at least 215 recognizable uncovered manholes in the five divisions of Kampala District, along with 60 open trenches or water runoff channels. People accidentally step in open manholes with some frequency, especially during the rainy sea-son when they become harder to see. And we’ve all seen drivers who have accidentally run into massive drainage ditches. Unfortunately, there are no concrete records as to just how many victims manholes and trenches have claimed, according to police and the city’s main hospitals. All that is available are complaints from a few members of the public that take note of them as they walk or drive through the city. Kampala City Executive Director Jennifer Musisi Ssemakula acknowledges this problem, in addition to the theft of street lights, which makes the manholes even more difficult to see. 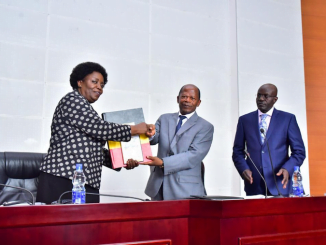 While addressing an architects’ conference in Kampala recently, Musisi promised to find an immediate solution to the problem. “When we cover these manholes, I’m told the (Jua Kalis) metal fabricators come at night and steal them”, she said. “They later smelt them into different products, which they sell to the local market”. Among the products they produce from the smelted bars are the metallic doors, windows, gates, school metallic beds among other metallic products. 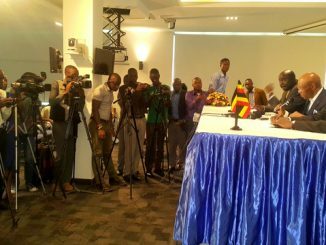 Musisi has a view that apart from raiding these metal traders and tracing for the stolen covers, the architects should devise technologies that can help safe guard the manhole covers. From a random survey in the different places where manhole covers are sold, they sell like hot cakes irrespective of appearance. This drive has forced many city residents to resort to the concrete covers in both domestic and commercial premises. According to a Kampala Dispatch street inspection, the majority of the holes without covers have signs that they were once there but removed. Eighty of the uncovered holes indicated that they had concrete covers that have been slid aside, broken or fallen in. 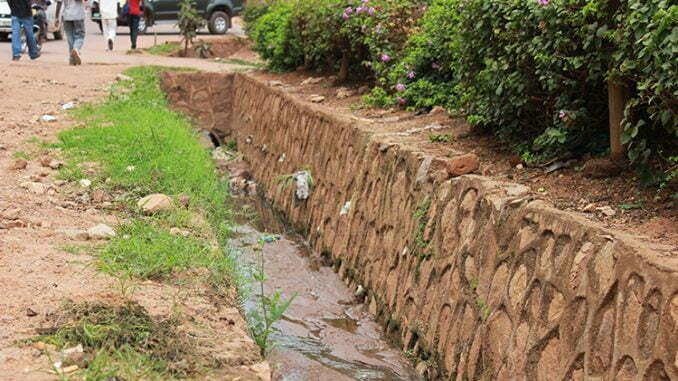 The most dangerous water runoff channels are found along Nakawa-Ntinda road (stretcher area); Nakulabye, on the left road side towards the roundabout from Makerere; Makindye down to Ki-buye roundabout; and the stretch towards Nsambya from Makindye all the way past Nsambya Hospital down to the Nsambya-Gaba road junction. The deepest open holes are along Nasser Road, Entebbe Road, Kamwokya and Bombo Road near BAT Valley Primary School. Even a tall person can disappear in these trenches. And they serve as great hiding spots for potential thieves, which worries many women in Kampala that we interviewed. According to police there have been isolated cases of death as a result of falling into these holes or channels. “We have had cases of children falling and drowning in manholes. They are very dangerous to both adults and children”, Kampala Metropolitan Spokesperson Ibn Ssenkumbi said. “I hope the new KCCA administration pays attention to them in their rehabilitation pro-gram”. Ssenkumbi said they are more dangerous during nighttime and when it rains because they be-come invisible. “Even during day time without rain, there are some crowded streets where some-one cannot be critical in their movements and are exposed to such dangers”. “I do not have the statistics off hand but I remember at the beginning of this year a child in Na-tete fell in one and died. Several years back a boda boda rider Robert Kizito, fell into one at Bata shop near Mini Price during a downpour and disappeared completely. 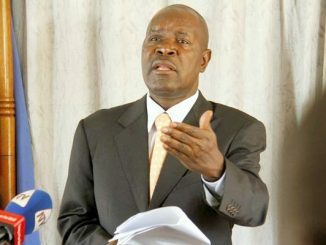 There was another case in Nsambya involving a child although it was not confirmed whether it drowned but the story is that the child disappeared from home and the body was found two days after in a manhole”, Ssenkumbi elaborated. Dr. Fred Ssebisubi is a trench survivor after his car plunged into a drainage channel in Mengo. Driving a 4×4 vehicle, he narrowly cheated death after the car plunged into an open channel causing the tires to break off. He recommends that special attention should be given before more lives are lost. “The city authority should cover all open man holes and drainage channels because they are a danger to the public. Cyclists, pedestrians and motorists are exposed to them especially with the narrow roads. They are even more dangerous at night because of the poor street lighting”. Dr. Ssebisubi explained. Apart from being accident traps, they are a health hazard as people dispose garbage and de-stroyed furniture in them. In 2007 Peter Mulla, a city resident, sued for Kampala City Council for negligence. He claimed that in September 2006 he fell into an uncovered nine-foot manhole in Nakulabye and suffered compound fractures to his leg. Mulla argued that KCC’s failure to repair the manhole and to install street lighting to improve visibility for pedestrians led to his accident. He argued that KCC had the obligation to cover all manholes or indicate an anomaly in a conspicuous manner. Mulla also dragged Mulago Hospital, another major public institution, to court under accusations of poor treatment. His leg ultimately had to be amputated. Other city residents interviewed expressed discomfort with the situation but hoped that the new city management will end the mess to protect the city dwellers. In the meantime, residents will have to rely on themselves for safety. Flashlights might not be as good as streetlights, but it’s better than falling in a manhole.